The Brand New Comp Clutch Ford Focus RS Mk3 Clutch kit. This is a full direct replacement clutch and flywheel kit for the Ford Focus RS Mk3 and ST250 .This is a direct replacement for the original unit. It is compatible with the MK3 Focus ST 250 model when used as a kit. 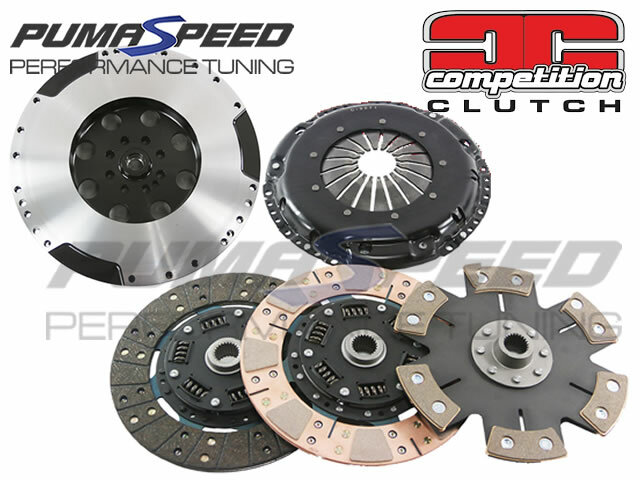 This clutch can cope with over 650nm so will be everything you need for your high power motor. In Comparison to other High Power clutch units we feel that it is very competitively priced and good value for the Focus RS Mk3 owner. We always advise the use of a new slave cylinder and a new dual mass flywheel when fitting a new clutch at the Pumaspeed workshops. We would always recommend the use of an engine mount with this Clutch kit as well. The Pumaspeed Workshop team are ready to fit the Comp Clutch Focus RS Mk3 Uprated Clutch Kit (Suits ST250) in our Head Office located here. Therefore making parts and labour a total cost £1,231.63 (inc. VAT). Pumaspeed have a specialist distribution team that can dispatch the Comp Clutch Focus RS Mk3 Uprated Clutch Kit (Suits ST250) to any destination worldwide.